Toyota has announced that it will present its new GR Supra Super GT Concept at the 2019 Tokyo Auto Salon in Japan, which is likely a preview for a race car that will compete in the Super GT racing series. 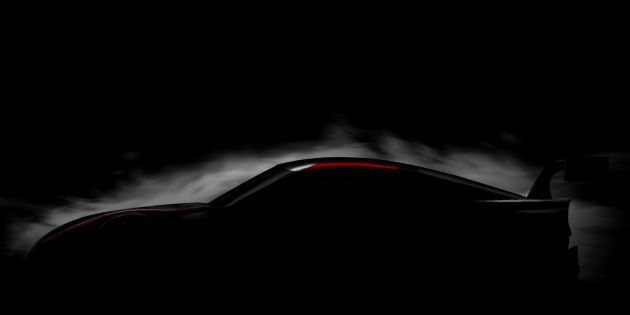 This shadowy teaser is all we’re getting for now, but the large rear wing and prominent diffuser hints at something a lot more aggressive than the other Supra-based concept from this year’s Geneva Motor Show. The release of the new racer concept is timed rather close to the official reveal of the road-going, fifth-generation A90 Supra in Detroit during next year’s North American International Auto Show (NAIAS). Where the 2019 Tokyo Auto Salon is set to take place from January 11-13, the 2019 NAIAS will be held from January 13-28. Aside from the concept, Toyota will also bring the Yaris WRC, TS050 Hybrid and the 2019 Lexus LC Nürburgring-spec race cars to the event. There’s even “a Supra vehicle that participated in past domestic races” in the mix, because nostalgia. Of course, the Japanese carmaker won’t be stopping at just a new Supra, with plans to make a “super sports car” previewed by the GR Super Sport Concept in mid-2018. There’s also rumours of a third member in the ‘Three Brothers’ of sports cars, which will join the Supra and 86.